Pac-Man is one of those iconic characters that never seems to completely go away for long. The series’ roots go way back to when the first Pac-Man arcade machine was released in 1980 and has seen many different incarnations since. This includes the title I was always partial to, Ms. Pac-Man, coming out only a year later, which actually added a little bit of story to the mix. This eventually led to a Pac-Man cartoon in 1982, which if you know the 80’s, pretty much everything had a cartoon at some point or another. This series even spawned a Christmas special titled Christmas Comes to Pac-Land that I started watching yearly as Boomerang always shows it now. 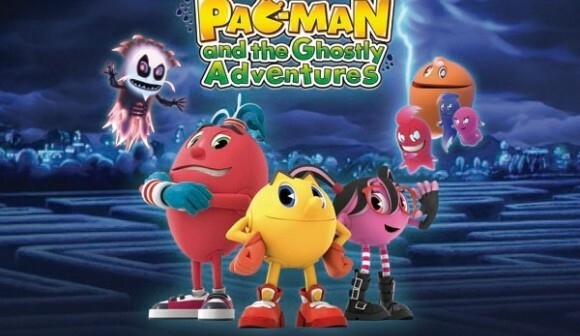 That series only lasted two seasons, but this year the Pac-Man brand finally made a return to television with Pac-Man and the Ghostly Adventures, which airs currently on Disney XD. Pac-Man and the Ghostly Adventures goes with a quite different take on the brand with a much younger Pac-Man, nicknamed Pacster, and involves a much more involved overall story than did the Hanna-Barbera cartoon of the 1980’s. Now only a few months after its premiere, a game based on the new cartoon has been released for a number of platforms. Did this game eat a power pellet or is it just a game over? Let’s find out as we review Pac-Man and the Ghostly Adventures. While you may hear Pac-Man and think of the traditional top-down maze gamestyle seen in the majority of Pac-Man titles, Pac-Man and the Ghostly Adventures goes against the grain with a 3D platformer. This is far from Pac-Man’s first appearance on a 3D plane, but this one adds in some elements that separate it from any others in the past. When you think of Pac-Man, the first thing you think of outside of his appearance is him going around and chomping the signature yellow pellets. As a result, your main attack in this game is your chomping attack. This attack flows very well as Pac-man lunges forward each time you use it, and when there are many ghosts in a line, you will continue to chomp until that line of ghosts is gone. You also have a secondary attack that is essentially the same as when you would eat a power pellet in the original games by making the opponents easier to eat. I pretty much forgot about this ability most of the time and just used the main chomp attack as the game never really presented much of a challenge enemy wise, which I will discuss in further detail later. When you create a 3D platformer, the very first thing a developer must do is to make sure the platforming is fun and fluid. 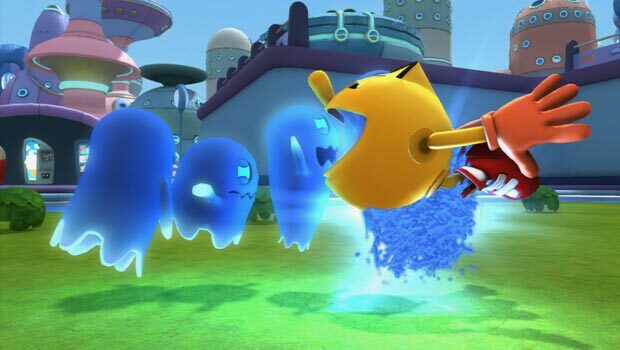 Some platformers are plagued by terrible level design or cameras, but luckily Pac-Man and the Ghostly Adventures strayed away from these and provided one of the better 3D platforming experiences I’ve had in awhile. When you first start the game, you feel that you have full control with movement of Pac-Man being completely on point. The camera does a very good job at following Pac-Man, with only a handful of times where the camera glitched at all. One new aspect that greatly sets apart this game from past 3D Pac-Man games is the addition of numerous power-ups. You can definitely tell that they were inspired by games like Mario, especially with the fact that you lose them with only one hit, but some of the power-ups were pretty unique and fit Pac-Man very well. You get a power-up like Fire Pac that is essentially the Fire Flower power-up from Mario games. However, that is far from the only one as you also have access to seven others throughout the game, though some are found much less than others. 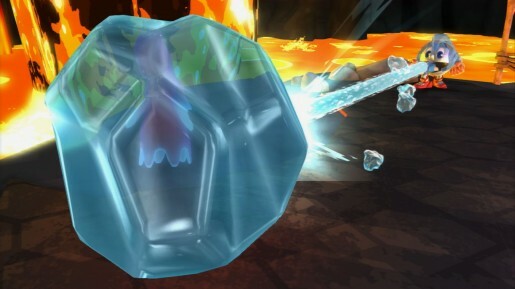 The Ice Pac power-up was probably my favorite due to its usage in the Netherworld stages. 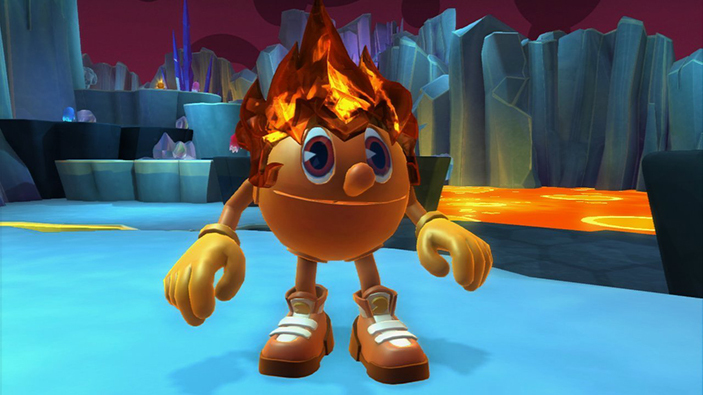 You can use it to freeze enemies, but it becomes vital in the platforming aspects of these lava based stages as you can freeze bursts of lava to create platforms. This was a nice addition to the already solid platforming sections. Granite Ball Pac was one of the more unique but often frustrating power-ups in the game. 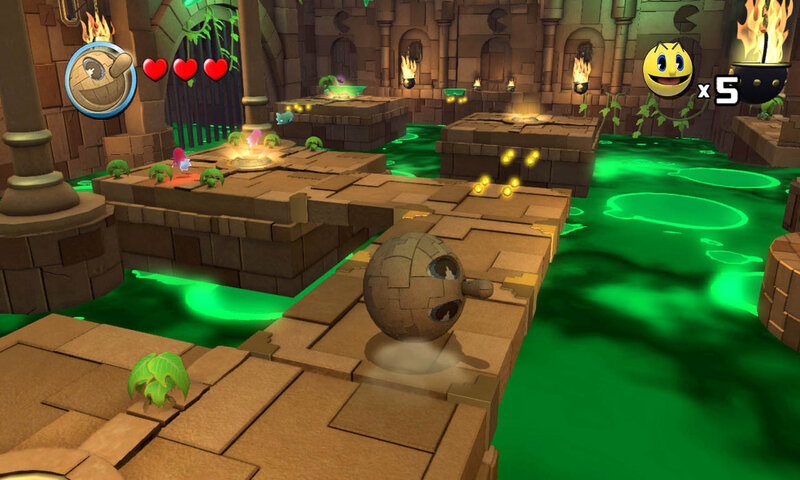 This turns you into a giant boulder as you roll through the level, which can be a little difficult at times. The nice part is that you can pretty much wreck everything in your path as you won’t be able to take damage in this form. Granite Ball Pac’s worst enemy is falling off platforms, which I did many a times, even with a very well designed instantaneous brake button.